Spiders aren't just creepy. If you see one of these 8-legged beauties in your tub, crawling across your floor, hiding in your shoe or hanging from your ceiling....relax! Its just a message from the Universe! "If you sit and think about things that make you feel anxious, stressed out, sad or angry, you are actually creating these conditions in your future. Thoughts create emotions that either empower or weaken you. Whatever we feel encapsulates your body and energy field, acting as a magnet to attract that which matches its vibration. On the other hand, if you use your mind to create rich visions of your desired future and you feel abundant while doing so, you will vibrationally create that experience, drawing the opportunities to you. 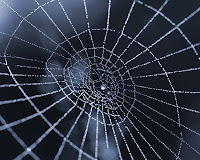 Every moment you are creating a web of energy that surrounds you and affects your experience. Be aware of what you are creating. Its not just about the work, its about doing the work with skill, intention, and joy. Which brings us to another point, doesn't it? Are you enjoying what you are doing? Why are you doing it, then? Its your life! Live it your way!" 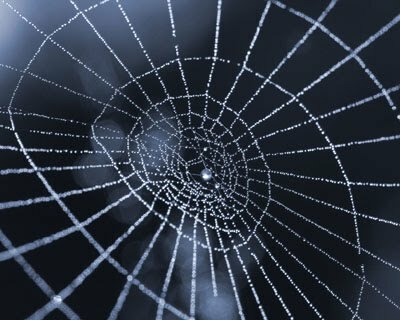 Spider reminds us to use our creativity. If you are uninspired, it may be time to explore a creative outlet.